Most platforms are protected with safety rails - except at access points such as load/unload points. That's where specialized safety gates are very valuable in injury prevention. 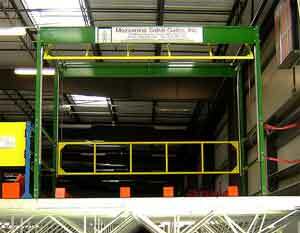 Improve facility safety with a platform safety gate.